Samsung has just released a statement confirming that the successor of the popular Galaxy S II Android smartphone will be unveiled at a dedicated event during the first half of 2012 and not at Mobile World Congress 2012 (MWC) in Bacerlona this month. 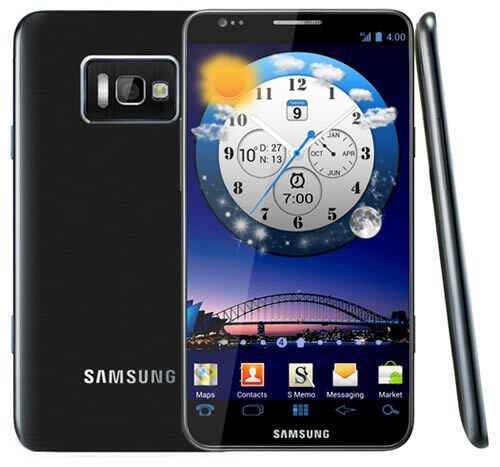 The Galaxy S II has been incredibly successful, having outsold every other Android smartphone out there. The device was announced at last year’s MWC in February 2011, but only shipped in June to European and Asian customers and in September in the US. We would say that it only makes sense for Samsung not to cannibalize the sales of its existing line with the announcement of a successor this early in the year and before any potential shipping date. The Galaxy S III will also be big news, based on popularity of the SGS II, so we would think that Samsung doesn’t want any other manufacturer stealing its thunder. MWC will see the announcement of a cornucopia of new smartphones and tablets, including a rumored high-resolution 10-inch tablet from Samsung. Samsung is looking forward to introducing and demonstrating exciting new mobile products at Mobile World Congress 2012. Samsung stays committed to providing the best possible mobile experiences for customers around the world. There isn’t much info on potential specs for the Galaxy S III other than rumors that it will feature Samsung’s new Exynos 5250 SoC that’s expected to keep it’s predecessor’s (the 4210) good name of being extremely fast.